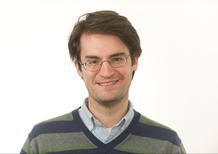 Michael Catalini is a staff correspondent covering the U.S. Senate at National Journal Daily. Previously at National Journal, he reported on national politics and was deputy editor of Influence Alley, covering Congress and K Street. Before joining National Journal he oversaw coverage of the Baltimore Ravens at The Baltimore Sun. While at The Sun, he also pioneered the use of live-streaming video, organized and edited online content and wrote breaking and feature news. He graduated from Penn State with a bachelor's degree in journalism and has a master's degree in government from Johns Hopkins.